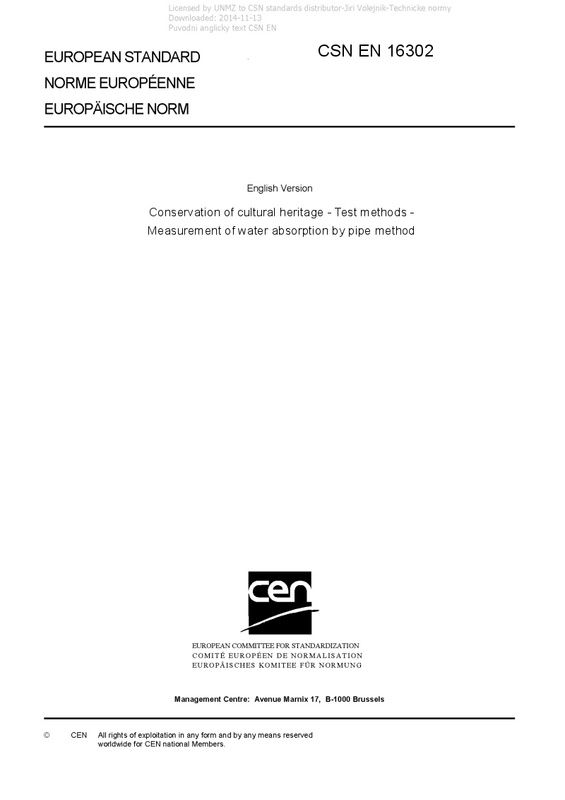 EN 16302 Conservation of cultural heritage - Test methods - Measurement of water absorption by pipe method - This European Standard specifies a method to measure water absorption of porous inorganic materials used for and constituting cultural property by pipe method. The method may be used on porous inorganic materials which are untreated or have been subjected to any treatment or ageing. The method may be used both in the laboratory and in situ due to its non destructive nature.